Hardy’s love of all things Carnival started when he was a five-year-old boy and attended parades in Mid-City. He recalls cutting out the newspaper photo of the king’s float the next day. His parents weren’t the biggest fans of Mardi Gras but Hardy was hooked from day one. His earliest participation was in the 1958 Thoth parade when he was at Beauregard Junior High and carried the American flag. The intrigue grew from there. When he attended Warren Easton from 1963-1965, Hardy played trumpet in parades. He laughs that he got to participate in Carnival before he studied it. Hardy graduated Loyola University in 1970, then taught in the public schools for three years. He then went on to become band director at Brother Martin High School. He was there for 16 years and was able to march with his band in many parades, leading to friendly relationships with Carnival captains. That came in handy when he decided to create the Guide. He saw a need for more detailed information about the parades; in 1977, the only way anyone knew which parades were rolling where and when was to buy the morning paper. Although he loved Mardi Gras, Hardy’s motivation to develop the Guide was strictly financial. He viewed it as a means to supplement his teaching salary. 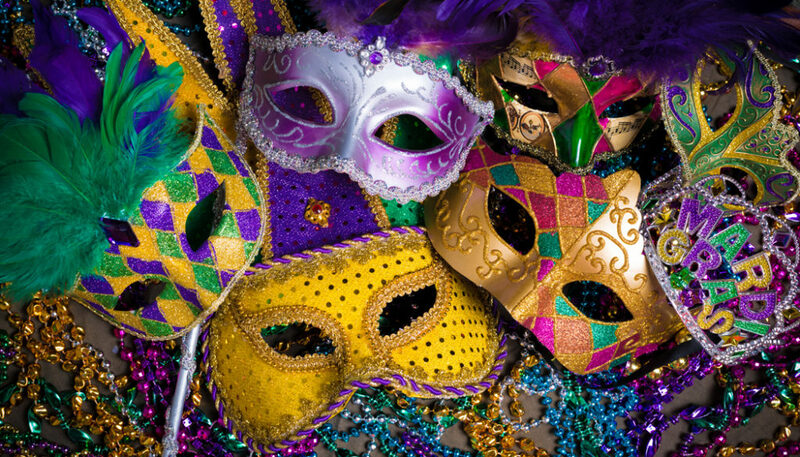 But as he studied Carnival’s origins and history, he became more and more fascinated with its unique traditions. 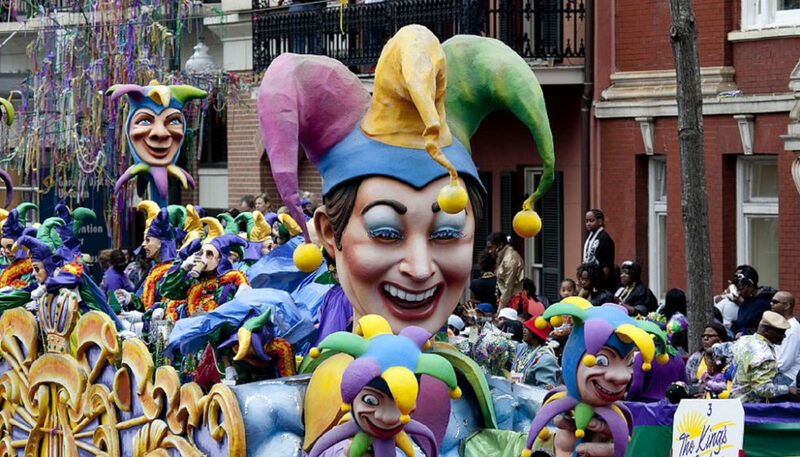 He found everything he could about Mardi Gras and synthesized it into his annual publication. No detail is too obscure for this Carnival connoisseur; he collects Mardi Gras trivia like some people collect comic books. It’s what makes the Guide as essential as fried chicken and comfortable shoes during Carnival season. 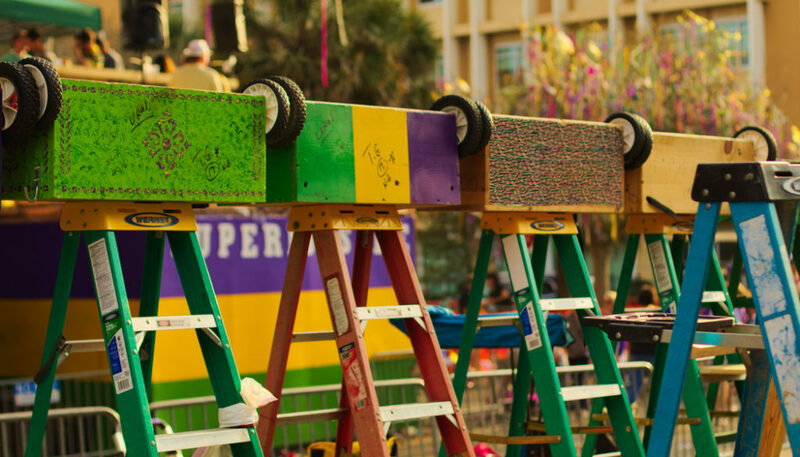 If you’ve ever wondered how krewes are formed, why riders throw beads or how Mardi Gras got started, his Mardi Gras Guide will fill you in. The Guide got off to a rocky start. Some 5,000 copies were printed but only 1,500 were sold. But he persevered and in a few years it was making money. Hardy also inspired other publications to offer more in-depth Carnival coverage. Today, the Guide has sold more than two million copies and has reached collectible status. 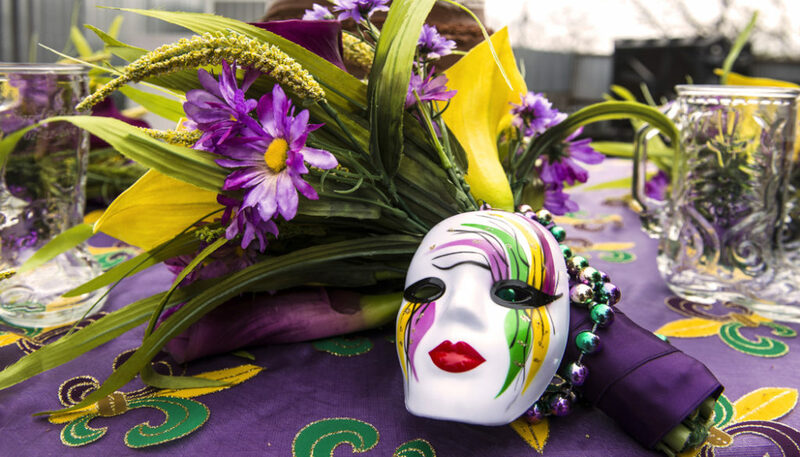 Mardi Gras Guide keeps Hardy busy all year long, but when Carnival season ends and Ash Wednesday begins, he is relieved. But it also comes with a touch of sadness and an inevitable letdown. There’s always a wish for just one more parade.